The DEWALT Mark Lumber Crayon marks on various surfaces and materials. It comes in the colour blue for high visibility. Limited lifetime warranty included. Top quality, long lasting, wax crayons preferred by shippers and packers. 5inch. x9/16inch. . Strong colors will not melt in sunlight. Multiple colors available. Packed 12 per box. 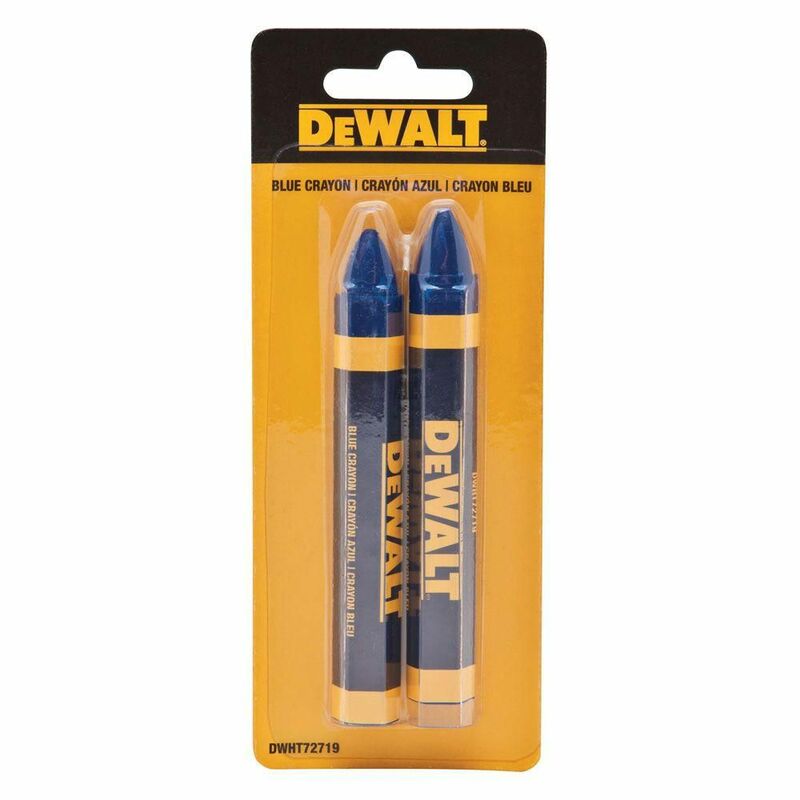 Mark Lumber Crayon (Blue) The DEWALT Mark Lumber Crayon marks on various surfaces and materials. It comes in the colour blue for high visibility. Limited lifetime warranty included.